The Foreign Ministry on Wednesday sharply criticized the European Council statement on Turkey, calling it unfair. "It is completely unacceptable that our participation in the 'EU enlargement' process is tied to a meaningless cause and effect relationship," the ministry said in a statement. 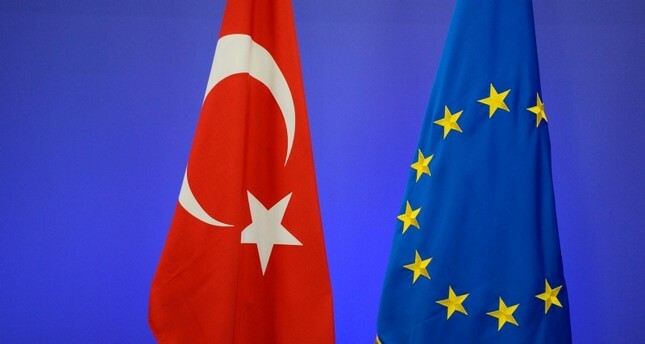 The statement went on to say that attaching conditions to the modernization of the EU-Turkey Customs Union as well was "impossible to understand." "EU's unjust and dishonest treatment of Turkey was seen yet again. It is hypocritical and incoherent to argue that despite EU's stance, it is our country that moves away from the [accession] process," the ministry said. The European Council released a statement Tuesday, in which it said, "Turkey's accession negotiations have effectively come to a standstill and no further chapters can be considered for opening or closing and no further work towards the modernization of the EU-Turkey Customs Union is foreseen."